Being “African-American” or “black” is an important factor to Democrats, for whom white men need not apply — unless you’re Joe Biden. But Matthews poses an interesting question. Harris was born in Oakland, California. “Kamala” is a Sanskrit name meaning “lotus.” Her mother is from India, her father from Jamaica. 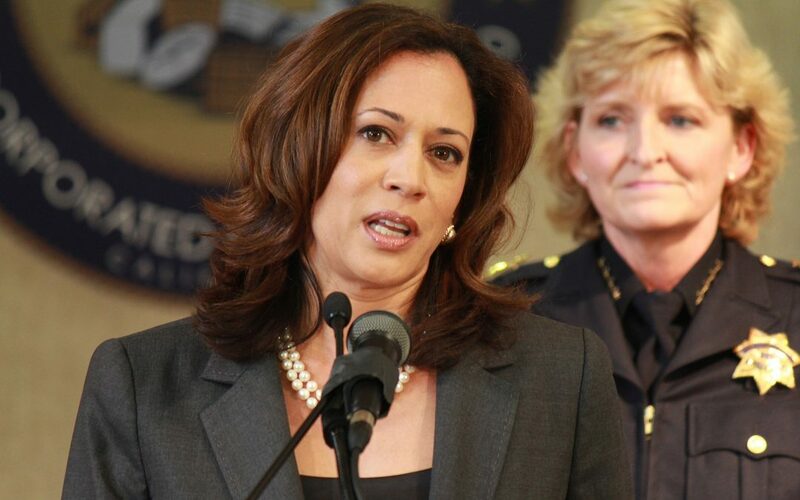 The Wall Street Journal describes Harris as “an African-American.” An Oprah Magazine piece, however, updated after Harris’ recent announcement, checked off several race/ethnicity boxes: “(Harris is) currently (California’s) first African-American senator and the country’s first South Asian-American senator. And now, with a 2020 run, she could be our first black female president.” So, she’s African-American, black and South Asian-American. Woods’ mother, Kultida Woods, says Tiger is “more Asian.” She added, “A mother raises her son, and he had an Asian mother. '” But ESPN quoted Karen Narasaki, the former executive director of the Asian Americans Advancing Justice, who said: “Tiger Woods can call himself what he wants to call himself — to most of America, he’s black. Asian-American groups have thought to give him awards, but as far as I know he hasn’t showed up to pick one up.” In 2016, ESPN, along with other media outlets, ran an Associated Press story that described a book Woods planned to write about “when he broke 20 records and became the first player of black heritage to win a major championship.” So much for Kultida’s perspective, so much for Woods’ preference for “Cablinasian.” “Black” it is. What of tennis star Naomi Osaka, who just won the Australian Open? To ESPN, she is “the first tennis player from Japan to reach No. 1 in the rankings.” USA Today called her “the first Japanese player, man or woman, to win a Grand Slam trophy.” Osaka was born in Japan, but she has lived in America since age 3 and has dual Japanese and American citizenship. She says she “grew up in a Haitian household in New York,” where she lived with her grandmother. Her mother is from Japan, her father from Haiti. She moved to Florida at age 9, still lives there, and often visits her grandparents in Long Island, New York. The U.K.’s Telegraph wrote, “Osaka is proud of her Haitian and American heritage but plays under the Japanese flag despite not being able to speak the language fluently.” But one must search very hard for a news article describing Osaka as “black,” despite her Haitian father. Even then, news outlets painstakingly describe her as “half-Haitian” or the daughter of a “Japanese mother” and a “Haitian” or “Haitian-American” father.